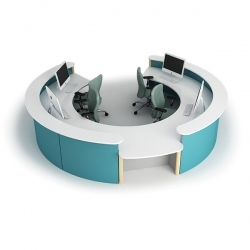 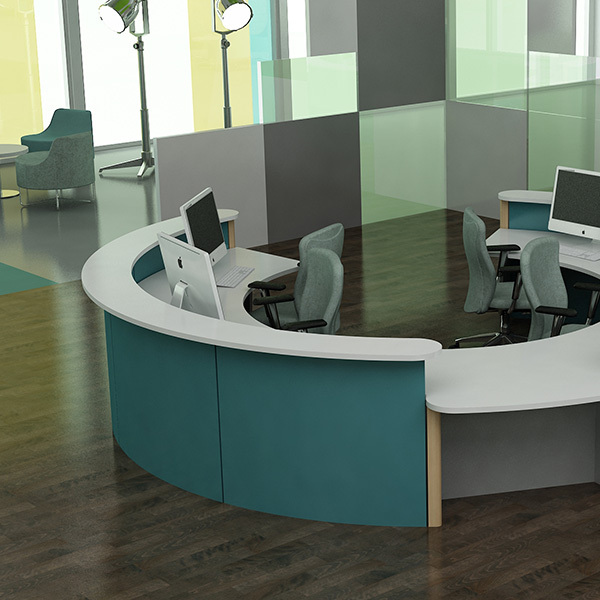 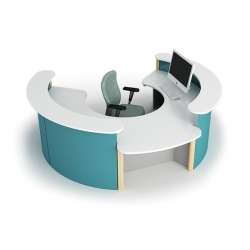 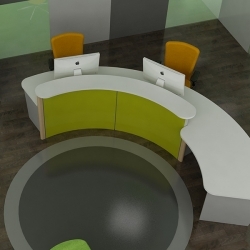 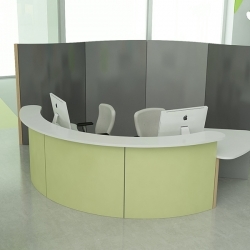 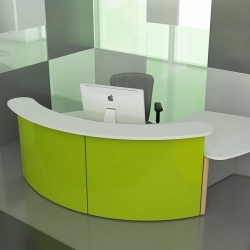 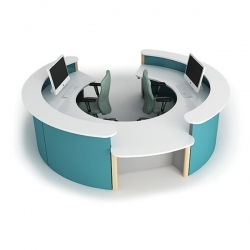 Julius is a range of scalable circular reception desks supplied with both high and low level sign in shelves. The unit creates a secure, self contained area with large customer facing surfaces allowing a number of people to be dealt with simultaneously. 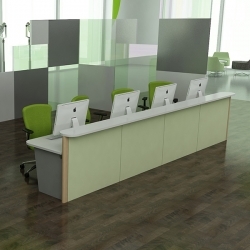 The Julius range is a range of products that can be extended or reduced in size to suit individual needs. 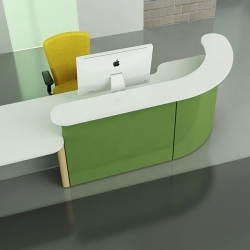 A wide range of additional furniture components can be added to the range to give the Julius products much more functionality.